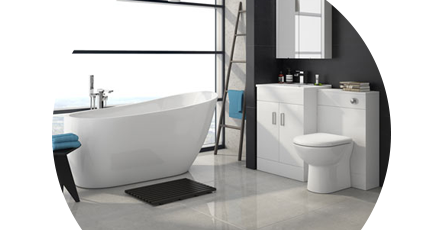 Our wide range of attractive vanity unit suites will add elements of both style and practicality to any bathroom. The best thing about them is that they allow you to hide all your toiletries from view! Our range of vanity unit bathroom suites includes a wide choice of options so you can create a setting that's truly individual. We have units that are perfect for people who like both modern and classic styling. One of the major benefits of installing a vanity unit suite is that it allows you to give your bathroom a more coordinated feel.